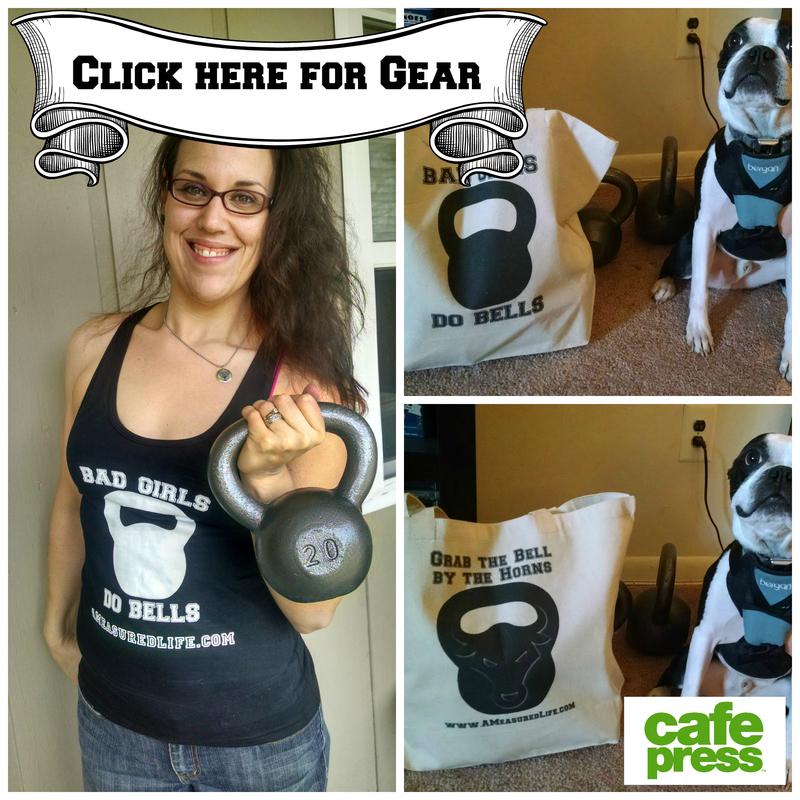 My girl Nik over on Nik Tried It reviews mail-order subscription boxes and shares her opinions with her readers. 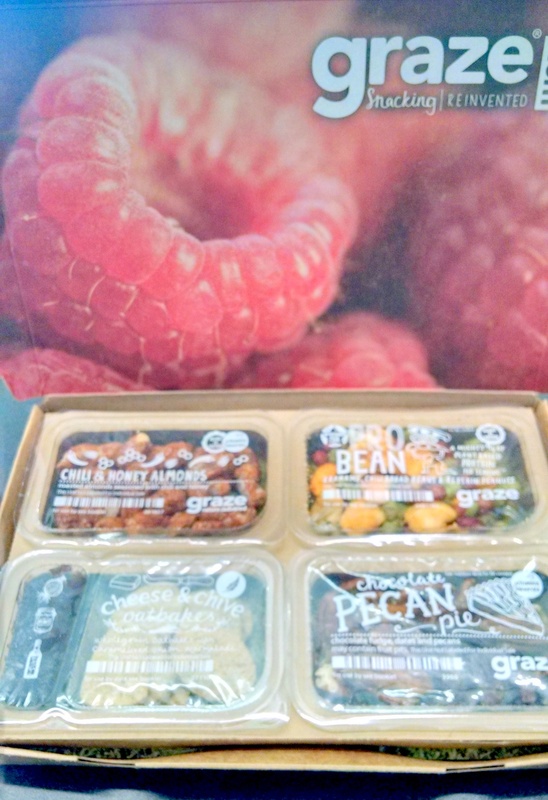 This inspired me to review my ONE, count ’em, ONE subscription box: Graze. I only signed up for Graze because a former coworker received them, and I saw her eating the delicious-looking snacks from my desk at work. Alison is young, beautiful, slim, and does yoga. She also gets all my jokes, which makes her extra awesome, since she’s 13 years my junior. An “old soul”! So I saw this girl eating these snacks and I got interested. Way interested. So I signed up to get a free box. This was July. I AM STILL GETTING MY DELICIOUS SNACKS! This ordinary plain brown box makes me squeal with joy at its arrival. 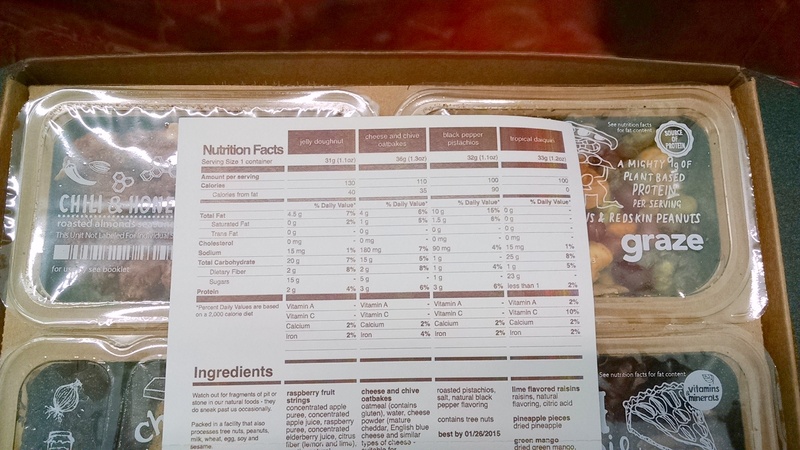 For just $6 a box (including shipping) you get four snacks in individual sealed pack, plus an insert that has nutrition information. Your first box is relatively random, but they’ll ask you for your preferences when you create an account. Each time you receive a box, you can rate the snacks inside, tailoring your deliveries for the future. There have been very few snacks I’ve marked as DO NOT SEND. You can sign up for a box every week or every other week. You can pause deliveries using their vacation tool, and cancelling the service is easy: you just log into your account and click “cancel my deliveries”. Is it pricier than buying my own snacks? Probably, but I love the variety and pre-printed nutritional information I get. There are sweet snacks, savory snacks, low-calorie snacks and protein-packed snacks. Some of my personal favorites are “pumpkin, sesame & sunflower seed raw bars”, “punchy protein nuts” and “fruit and seed flapjack”. For serious, the flapjacks are yum. I get the box approximately every other week, with some stalls to “catch up” on eating them, and I have no plans to quit in the near future. Also, BONUS: the boxes fit through my mail slot so no one steals my tasty snacks! To quote Sharon Osbourne: and that’s a YES from me! Do you want to try Graze? If you use this link to sign up, you’ll get your 1st and 5th boxes free. Thanks to reader Susan (AKA my favorite cousin) for signing up with my code when I posted it on Facebook! Woo Hoo! 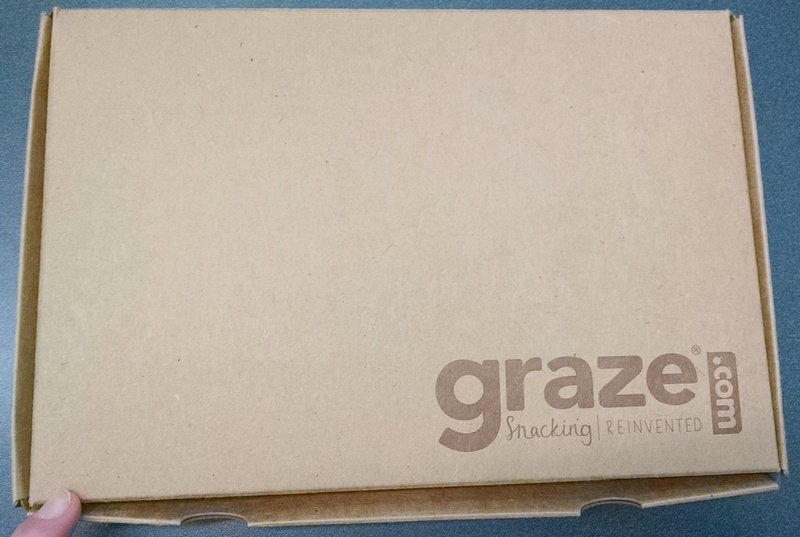 I get my first Graze box on the 16th!! Thank you!! !